A Brief Summary of Sun Activity: Our sun is a star, a roiling mass of magnetism, chemistry and physics. It creates the 'solar wind', a normal flow of electrically-charged particles (electron, protons) that stream out from the corona (the sun's upper atmosphere) at over 1 million miles per hour. 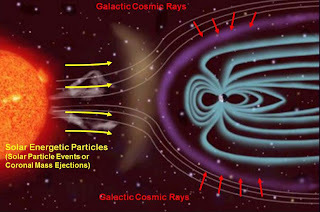 Our earth itself behaves much likes a large magnet as well, its own magnetic field (magnetosphere) extending from pole to pole, protecting the planet from the assault of the solar wind and the radiation pulsed out from the sun itself. 'Sunspots' are points on the solar surface, darker than the surrounding regions, triggered by the sun's own intense magnetic activity. 'Solar flares' are bright spots on the sun's surface (usually located in the area of sunspots) which release huge masses of energy (electrically charged particles and radiation, from radio waves to gamma waves) through the corona and into space. The 'solar (magnetic) cycle' is a variation in solar sunspot activity, cycling through 11 years. The cycle results in a change in frequency and pattern of sunspots which relate to a change in the type and amount of irradiation launched from the sun towards the earth. 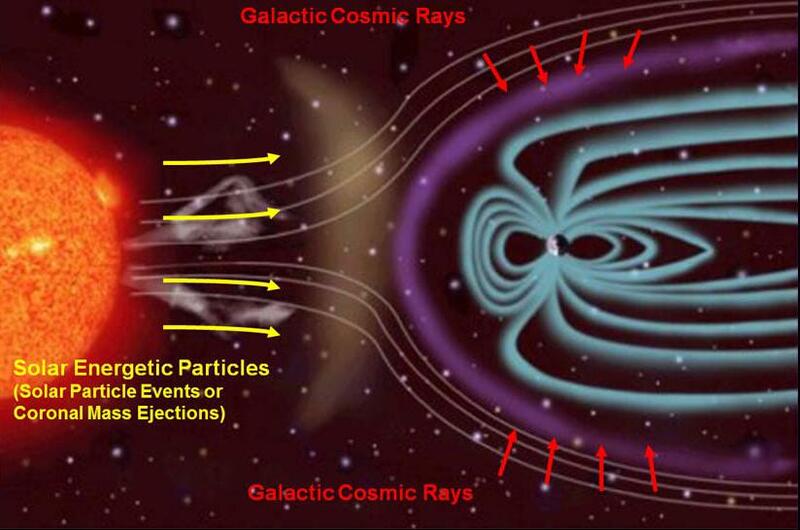 It is the presence of the earth's magnetic 'shield' which protects us from most of the harmful effects of the sun's discharge. 'Space weather' is the change in environment (charged particles, radiation) in the space between the atmospheres of the sun and the earth. 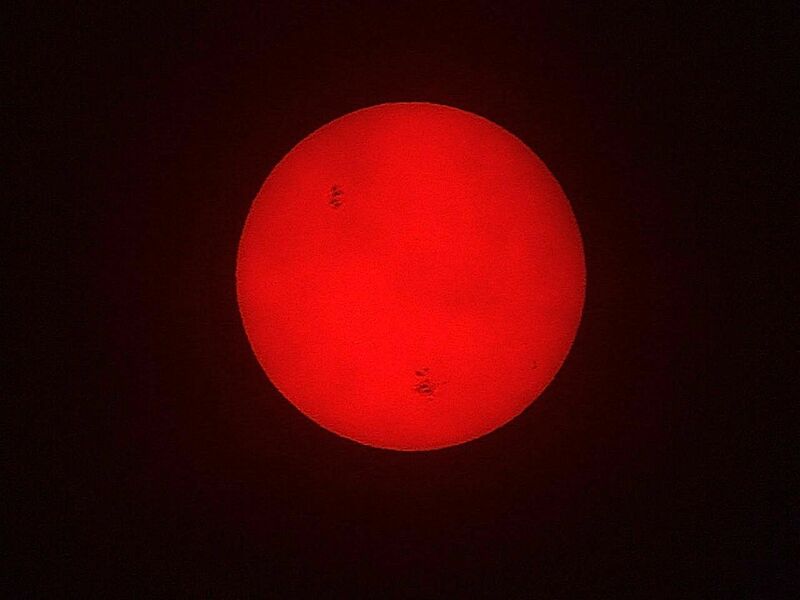 In 364 BC, Chinese astronomers were the first to document sunspots. In ancient Greece of 300 BC, Theophrastis recorded the strange activity on the sun's surface. Throughout the Middle Ages, further observations were made but it wasn't until Galileo that it was understood that these 'spots' were signs of activity on the sun itself; an important point since, up until then, scientific and religious thought had held that all celestial bodies were 'perfect and unchanging spheres'. So then, what happens when 'space weather' changes? When 'solar flares' become more active? 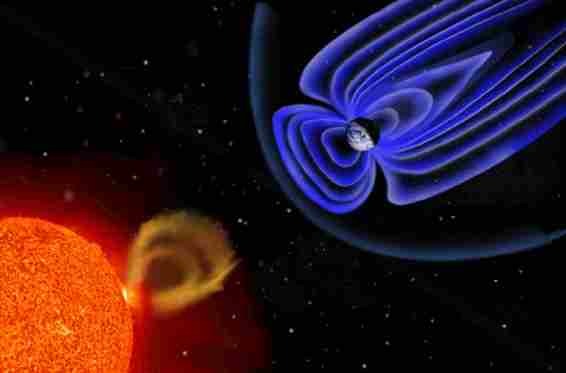 If the magnetospheric shield of the planet is altered?...What happens when the 'Winds of the Sun' turn fierce?